It's important to wear the right footwear for any kind of exercise or physical activity. Wearing the right shoes elevates your performance, eliminates discomfort, and reduces the risk of injury. It might seem like you can wear training shoes for running, and vice versa, but this isn't the case. Training shoes and running shoes both have their own unique qualities that make them ideal for their specific workouts. Just like the name suggests, running shoes are meant solely for running purposes. However, training shoes (also called "cross-trainers") are more of a multi-purpose shoe. Training shoes originated in the mid-1980s when a researcher at athletic footwear giant Nike realized that there was a need for shoe that could be worn during all types of sports. Training shoes provide the wearer with the maximum amount of comfort and stability. As strenuous exercise requires lateral movements of the legs, training shoes are specifically designed with additional support at the sides to allow for this. They encourage a variety of movements, such as cutting, stopping, breaking, jumping and changing direction, and are considered extremely versatile. The durability of training shoes also mean that they can be used for other physical events. Gym workouts and classes - They offer cushioning for high-impact training. Outdoor boot camps - They are extremely lightweight for quick movement. Weight lifting - They offer heel support for squatting and jumping. Agility training - They have grooves and outsole patterns for traction during multi-directional movement. Light running - They support the foot for short distances on a treadmill; however anything longer than 5K is better suited to running shoes, as training shoes are too heavy. Running shoes are meant for running in particular due to the level of protection that they offer the feet when continuously hitting the ground. They are the best shoe to wear for this purpose as they are specifically tailored to your foot in terms of support and cushioning. Running shoes are specifically designed to be lightweight for forward motion, unlike training shoes, which help with side-to-side movement. Their intricate treads propel energy from the legs of the runner to his or her feet, which allows the runner move forward more efficiently. They also have a higher heel drop and more flexibility at the toe that allows for extreme comfort during long distances when you need shock absorption. Discomfort - Blisters, aches, pains, or soreness are a result of wearing the wrong footwear. Reduced performance - Running shoes absorbs the impact exerted on the foot, unlike other types of shoes. You also need their grip and traction for better performance. Injuries - A higher heel drop than in a running shoe can contribute to a higher risk of a sprained ankle. Also, if you don't have the proper cushioning, you might not land properly when running and this increases the chance of getting a knee injury. The best way to know if you're wearing the right running footwear is that they let you do repeated, extensive physical exercise without causing you any problems. Training and running shoes have key differences in their materials and makeup, which contributes to their unique functions. Training shoes have harder and stiffer soles than running shoes, which are extremely flexible and arched upwards to the shoe tip. Running shoe soles are also made up of stickier rubber, that better grips the pavement, and thicker heels for increased sturdiness. Furthermore, the soles of training shoes are non-marking for indoor use and help stabilize the wearer during side-to-side movements. Running shoes have lightweight and breathable uppers, to allow for maximum comfort during the sport in question. However, training shoes have more of a robust upper, for high quality and sustainability, that is usually made of leather. Sometimes running shoes have midsoles with added support to correct for any foot misalignment and are made from very soft cushioning. Midsoles in training shoes, on the other hand, are stiff and stable to be able to handle a range of movements and motions. There are many different styles of training and running shoes on the market at the moment. Top brands for running shoes include Saucony, Asics, Nike, Reebok, Brooks, Adidas, New Balance, Under Armour, and Hoka One. For top training shoes brands, along with some of the same names including Asics, Under Armour, Reebok, Adidas, Nike, and Asics, you'll also find some other contenders, including PUMA and Skechers. Training shoes are available at a variety of specialised sports stores, department stores, and even clothing stores, nowadays. 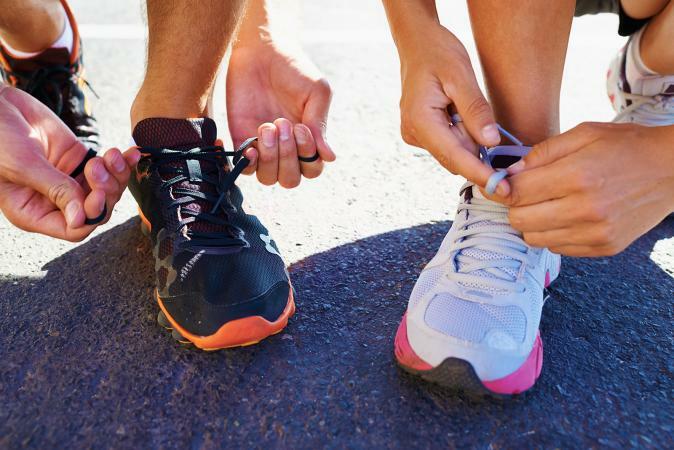 The trick is to invest in renowned sports brands for training shoes that will not only look great when you're exercising, but will also last the test of time. For instance, these Men's UA C1N Training Shoes are one of Under Armour's best-sellers for around $120. 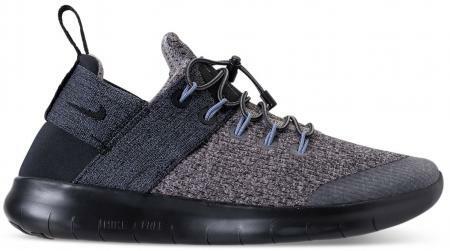 Not only do they have a custom-engineered Threadborne knit upper that provides the perfect fit, but the flexible forefoot strap secures your foot while supporting lateral movements. Available in sizes 7-15, these training shoes also feature a Charged Cushioning crash pad underneath the heel to absorb impact and come in two colors: Black/Metallic Gold and Blue Heat/Metallic Silver. (The red color has limited availability; you can find it in select sizes at Foot Locker and Finish Line). 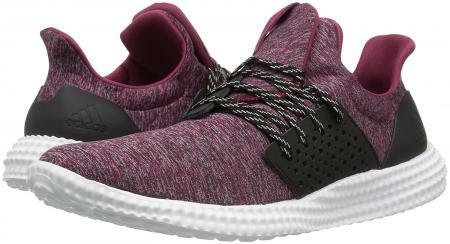 Ladies, you can also make an impact while you're training in these Adidas Athletics 24/7 Trainer Shoes. Currently Adidas' most popular training shoe on their website, these sneakers are designed to feel as good as they look. As well as being built with an added molded sockliner that encourages faster recovery after a workout, they also have a streamlined design with a sturdy mesh upper and adjustable lacing system. Available for about $100 in sizes 5-10.5, choose from either dynamic grey or statement black for a training shoe that will pack a real punch at the gym. Running shoes tend to be restricted to specialized sports stores and areas of department stores, due to their focused purpose. You can always find some stylish yet functional options by your most-loved sports brands. 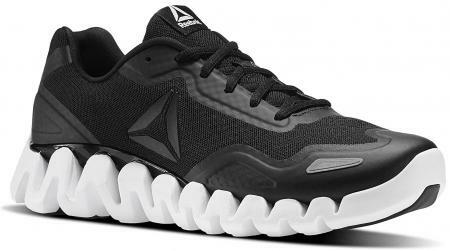 You may want to consider the Reebok Zig Pulse Men's Running Shoes in sizes 10-13. Rated as the best on Reebok's site, these running shoes are built for stability at all speeds. Their four-way stretch mesh upper offers a contoured yet breathable fit, the Zig Tech sole provides responsive cushioning, and they also have a high-abrasion outsole in key areas of the heel and forefoot for repetitive impact. At about $80, they come in a smart yet simplistic white and steel color that will match any of your other running gear. Ladies, you can also get running with the Nike Free RN Commuter Premium Running Shoes. They feature a ultra-flexible and innovative Free sole that allows your foot to move naturally, as well as elastic straps around the ankle for further support. The stretchy, sock-like knit material feels comfortable against your foot, and you can also fold away the shoes into your bag if you have to hurry home or back to the office after your workout. Available for around $100, these running shoes come in snazzy green, classic black, or feminine taupe for footwear that will make you stand out while you're running for all the right reasons. Whether you're an all-round trainer, or an avid runner, make sure you get yourself kitted out in the correct shoes for your workout. 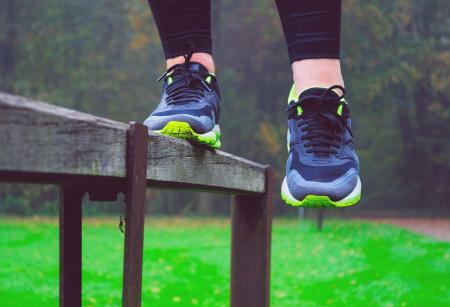 A training shoe is too hard and heavy to go running in, and a running shoe only enhances the forward motion for running, instead of the side-to-side steps required for other forms of exercise. 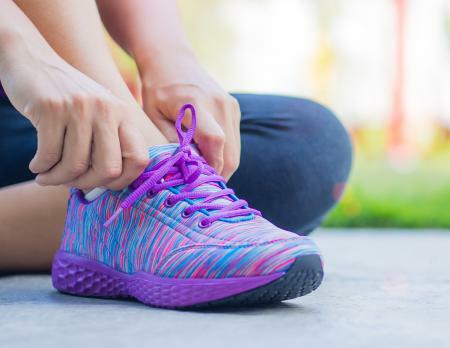 Invest in a good pair of shoes for the right purpose from a trusted brand, and you might find your desire to work out increases - because you get to wear your new, performance-enhancing footwear.